If you've been following the Bandwagon over the last few months...you probably know that we flirted around with launching a national tour in 2011. While the notion was tempting, and we could barely keep the lid on our enthusiastic plans for meeting new music and car culture fans around the country...we were actually presented with a much more exciting opportunity. Beginning in the Winter of 2012...Bandwagon fans will now be able to tune into a national TV network to get their fix for the most exciting bands, celebrities and custom builders today's car culture has to offer. That's right..."Bandwagon: The American Roadshow" will debut on the SPEED CHANNEL in prime time, with a premiere date to be announced soon get to up 1000$ Payday Loans No Credit Check online and https://paydayloansbc.co.uk/. Stay tuned to RadioBandwagon.com for all the latest news and details surrounding this exciting announcement. We will be also posting the 2012 cross-country tour schedule soon, with many surprises in store. Ride on! It's a natural. Cool cars teamed up with hot guitars. The rockabilly music scene and the car show circuit have become inseparable over the past several years. Any good car show these days will be made better by a rockin' band or two to keep car nuts' motors running during the event. 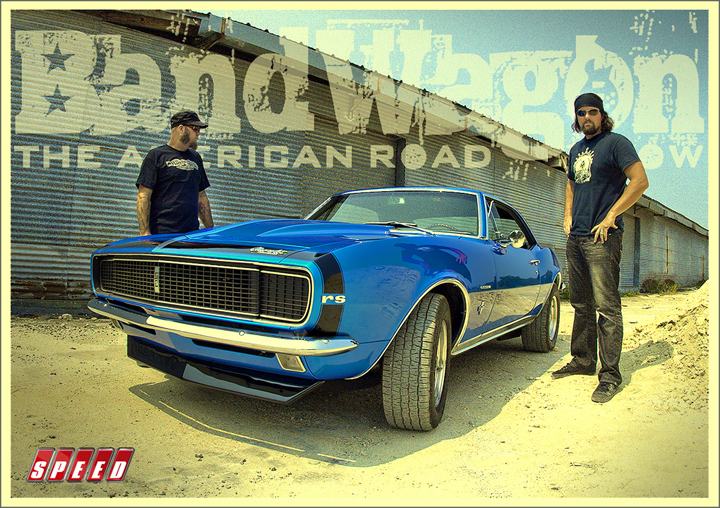 The 2011 Promo film for the Bandwagon Roadshow has just been released for preview on Vimeo. <CLICK HERE TO PREVIEW THE FILM> Video shows RadioBandwagon interviews and live concert performances by Snoop Dogg, Mix Master Mike, Reverend Horton Heat and more. Generations, like people, have personalities, and Millennials -- the American teens and twenty-somethings -- have begun to forge theirs: confident, self-expressive, liberal, upbeat and open to change. The Bandwagon Roadshow celebrates the automotive culture, a steadily growing component in global youth movements, and creates a unique draw over other festivals which are focused primarily on music. 07/27 - Hello everyone! We've been dormant while we get some very exciting projects finalized. Stay tuned for some big announcements! 08/31 - Tune into WPRK 91.5fm for BadHat's interview about Bandwagon Roadshow this Sat.